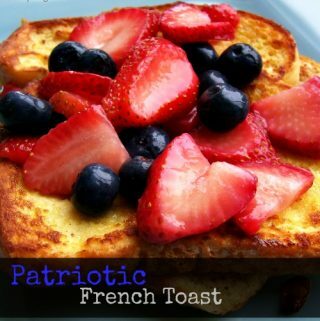 Show your patriotism when eating these spectacular french toast! Place french toast on plate. Place strawberries and blueberries on top. Pour syrup on top of fruit, if desired.